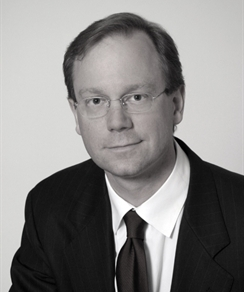 Keith McLaughlin is a Portfolio Manager with TD Wealth Private Investment Counsel. He provides discretionary investment counseling and financial planning to private and institutional clients. Keith has 17 years of experience in the investment industry, where he has worked as a financial analyst, advisor, and investment counselor for both boutique firms and major banks. Keith's primary role is to provide portfolio management to his clients, specifically to develop and implement investment strategies tailored to meet their individual needs. He is also a member of TD Wealth Private Client Group, which provides integrated financial solutions and a wide range of private banking, trust, and insurance services to the Bank's high net worth clients. Keith is a graduate of Haverford College (U.S.) and holds master's degrees from the University of Toronto and the University of Texas in Austin. Keith is a Chartered Financial Analyst (CFA) Charterholder and a member of the Toronto CFA Society and the CFA Institute.